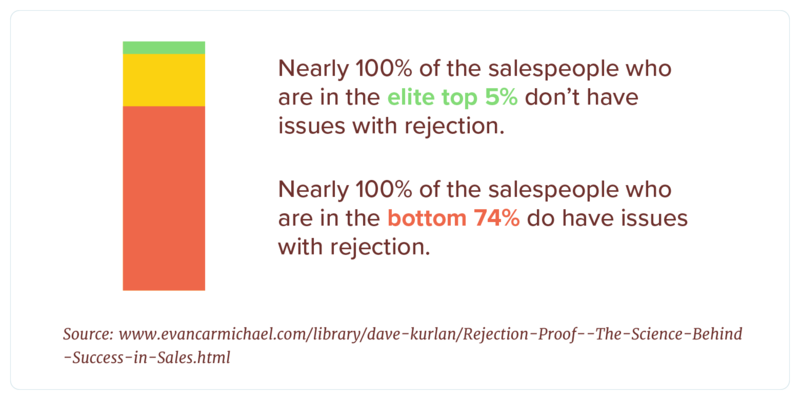 Rejection is a normal part of the sales process, but most people don’t know quite how to deal with losing a sale. Should you push ahead, pull back, or cry in the corner? Understanding the reasons behind the no, and what to do about it, can be the secret to closing your next deal. It’s not just toddlers who don’t like the word, ‘NO’ - no one likes to hear it. No matter how nicely they do it, or the valid reasons behind it. And it’s especially painful in business. Your business is built on people saying, “YES.” You wrote a proposal based on yes. You did your sales forecast based on yes. And now, here are you with a big, fat NO. I don’t remember my exact first no in business, but I do know there have been a lot of them. And just like boyfriends, while every one of them broke my heart, I learned how to bounce back better each time, to move on, and to learn from the last one (like, no more actors or lawyers). I also learned that no from a potential lead didn’t necessarily mean no to me personally, or no to everything. If I could figure out how to interpret what kind of no the client was saying, and the reasons behind it, I might be able to salvage either this deal in the short term or possibly a deal in the future. It could be your potential client didn’t have all that much potential after all. Maybe they were just kicking the tires and had no real intention of being serious about doing business with you, the person you met with isn’t the right decision-maker, or they don’t have the budget to work with you. By validating your leads before you spend hours preparing a proposal, you’re less likely to get a no. Am I genuinely excited about this project? Is their a personality fit? You don’t have to turn into BFFs, but if there isn’t some connection, you might have problems once you start working together. Check out Hubspot’s 25 provocative qualifying questions. Taking the time to vet leads naturally increases the percentage of yeses you’ll hear when closing a deal. People buy what’s going to make it better, what’s going to fix it, or what’s going to transform their situation. You need to position your sales pitch around solving your client’s problem, not building or implementing a product. It’s not about the super awesome developers you have who will build a super cool mobile app. It’s about how the super cool mobile app is going to grow your client’s business, connect with their target audience, or throttle their competition. If you don’t sell your services as a necessity, sales leads won’t feel any urgency to say yes. You don’t want to them to think, “That’s cool. That would be nice to have.” You’re not a new TV. You want them to feel like, “We’ve GOT to have that. This is critical to achieving our objectives.” You’re electricity. Nobody wants to admit they didn’t listen and it’s rarely something anyone does on purpose (except my dog). But if a client rejects your proposal, there’s obviously a disconnect between their expectations and what you delivered. I’ve written about the power of listening in sales before. Being a good listener, an active listener, means focusing more on what your sales lead is saying and less on what you want to tell them. When sales expert and author of It’s Time to Sell, Chris Spurvey asked his LinkedIn network of entrepreneurs and salespeople, “What’s the best sales advice you’ve ever received?”, the answers overwhelmingly came to the same conclusion: Be a better listener. If you validated your lead before creating the proposal, then you should have a good idea of the client’s budget and have prepared them for roughly what a project like this will cost. Managing expectations on price will reduce the chance of sticker shock and a stinging no based on price. Your proposal needs to demonstrate the value of your services, not just the price. People feel like the price is right when the perceived value is higher than the dollar amount. But conversely, if they think your fees outweigh the value of your work, then they’ll consider you too expensive. Those are some of the reasons your client might have rejected your proposal so now let’s look at what you do about it. Yes, the client may be making the biggest mistake of their lives by choosing the competitor instead of your company, or going the cheap route and getting their nephew to design their website, but you can’t say that to them. And it doesn’t matter that you thought it was a done deal, that you spent hours on the proposal, and that you were counting on this. You need to be calm and professional, not argumentative or aggressive. Because one, this isn’t personal. And two, you still could save this deal, grow this relationship in the future, or learn something to make sure your next sale closes. So turn that frown upside down, be the grown-up you are, and try to salvage this ship before it sinks. No, the timing isn’t right. No, I need something different. No, I need it in another format. No, I need space to think about it. No, I need the pricing structured differently. When a client says no, it might not be no to everything and everyone right now. Figuring out what kind of no can trigger your next steps and possibly save the deal. If you get a no, it’s OK to ask your lead why. You just need to do it in a respectful way. I always prefer to present proposals in person so that I can walk the client through each part, make sure there’s no misinterpretation of the information, and gauge their reaction so I can try to nip any issues in the bud. But in-person isn’t always possible so however your no is delivered - in person, by phone, or by email - ask your client if you can discuss the reasons they rejected your proposal or what was unsatisfactory about it. There may be something you can do to change, to clarify, or to improve, whether right now or for a future opportunity. 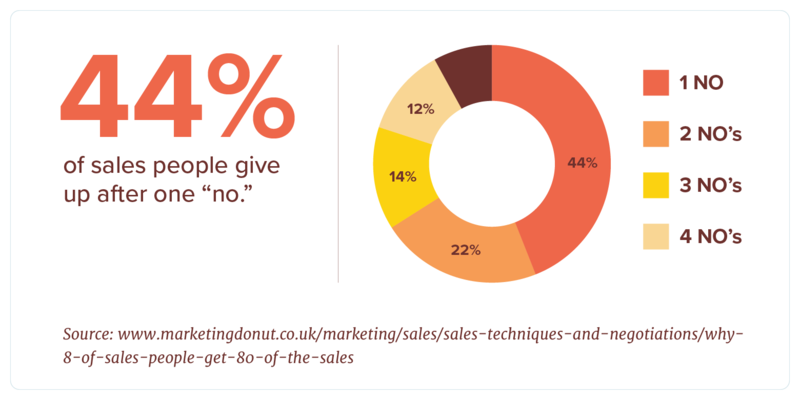 Most people don’t want to say no, and they’re happy to be helpful. Just be sure to keep your questions polite and focused. If you’ve determined why the client said no, you’ll likely be able to figure out whether or not you can push back a bit. 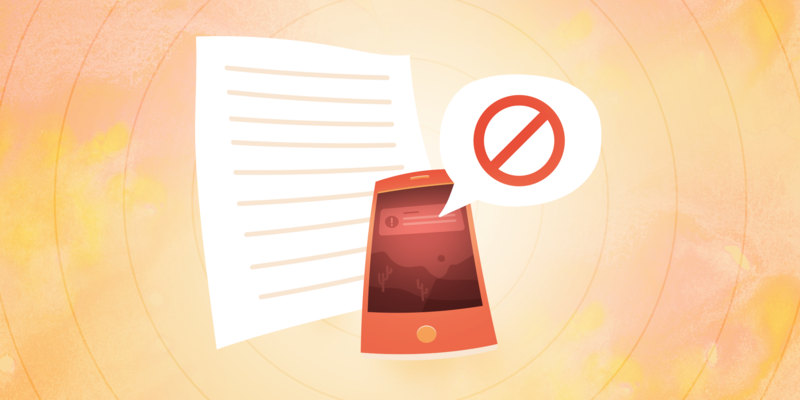 It can be OK to clarify, correct, and confirm any assumptions the client made in their reasons to say no as long as you do it respectfully and with a focus on a better solution for the client, rather than just trying to prove you’re right. Be sure to start out by acknowledging what they’ve told you - let them know you’ve heard what they’ve said and you understand their concerns. Also, own up to any of their reasons that may be legitimate - it will build credibility for the points you do challenge them on. For each legitimate reason the client gives to reject your proposal, try to find a solution. If they say they can’t afford it right now, see if you can work out a payment plan to spread the costs out over time. Or perhaps break the project down into phases so it’s a smaller amount at each juncture. If they don’t like the solution you’re pitching, talk through their reasons and present results-based evidence why it is indeed the right direction, or suggest you could take their concerns back to the team to see how/if they can be implemented. If they’re concerned you don’t have the capacity on your team to do the work, suggest hiring contractors who would work under your company’s direction. Straight up ask the client if there’s anything you can do, if there is any aspect of the proposal that could be changed to meet their needs and allow you to partner together. Reiterate the benefits of your companies working together on this project and talk about why you want to work with them specifically. A little flattery can go a long way. It’s not about begging; it’s about persuasion. 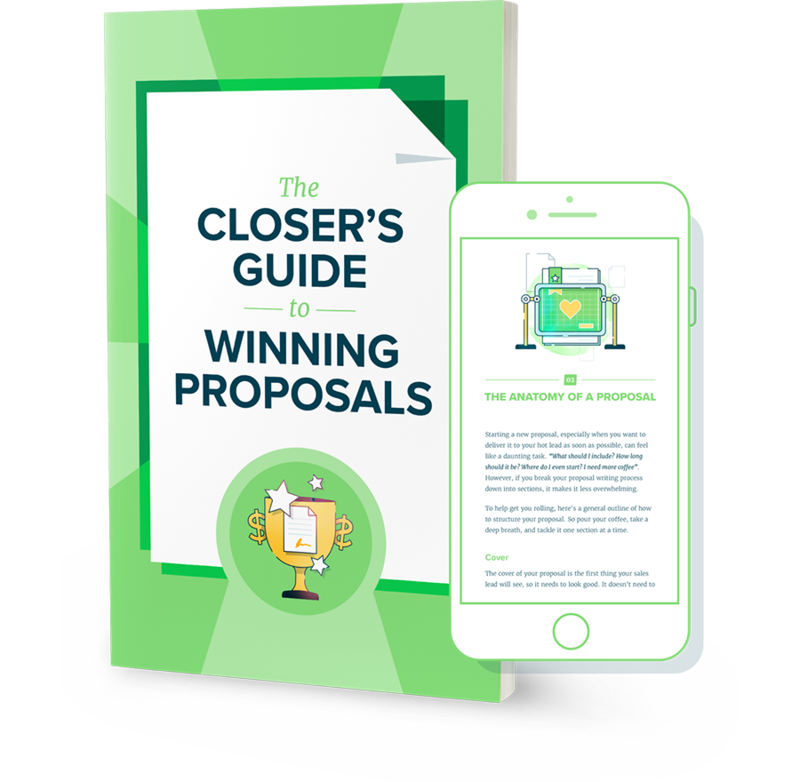 Instead of being bitter about the proposal rejection and going back to your team to complain about how the lead doesn’t have two clues about what’s good for their business, take what you’ve learned from these follow-ups to see how it can be applied to future proposals. Are there aspects of your company-wide proposal process that can be improved by this feedback? Are there legitimate concerns about how you structure pricing, your services, how you pitch, or even the person presenting? Should you have brought other members of your team to help bolster the pitch? Do you need a better proofreader? And follow up again. Sometimes no right now doesn’t mean no forever. I once pitched a university department three times over nearly two years. My contact there really wanted to work with my agency and asked us to put a proposal together to help them with recruitment. But each time, something came up - there was suddenly a school-wide budget freeze, then there was a months-long strike, and then they had a change in deans. Because I knew that my lead was interested in us and our ideas, I kept following up with her every few months. I’d send her articles I thought were relevant to her project; I’d drop a note to offer my support when I knew things were crazy for her, and I’d let her know about other projects we were working on that might apply to what she needed. Finally, after 18 months, the coast was clear. She had clearance for a budget, she had the backing of her dean, and we had the time to do it. I still had to revise the proposal a few more times to jump through some bureaucratic hoops, but in the end, the deal closed. And it was a great project that not only turned into a long-term relationship but harvested some quality referrals. So stay in touch. 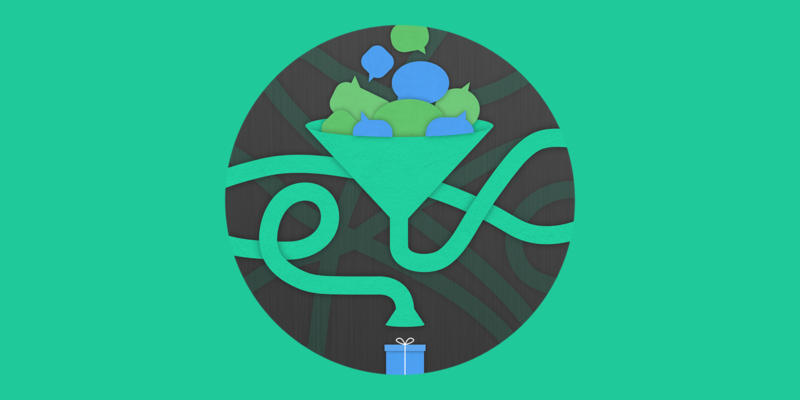 Add sales leads to your newsletter or blog mailing list. If you see something about them in the news, drop your contact an email to offer congratulations or a proposed solution. If you handled the no properly and you haven’t burned any bridges, there’s still an opportunity to nurture this relationship. You can be a focused, driven, closing machine but if you beat yourself up over every no, you’ll burn out. Rejection is part of the game. Challenge it when you can, learn from it every time, and move on to the next opportunity. A big, fat yes might be waiting just around that next proposal.